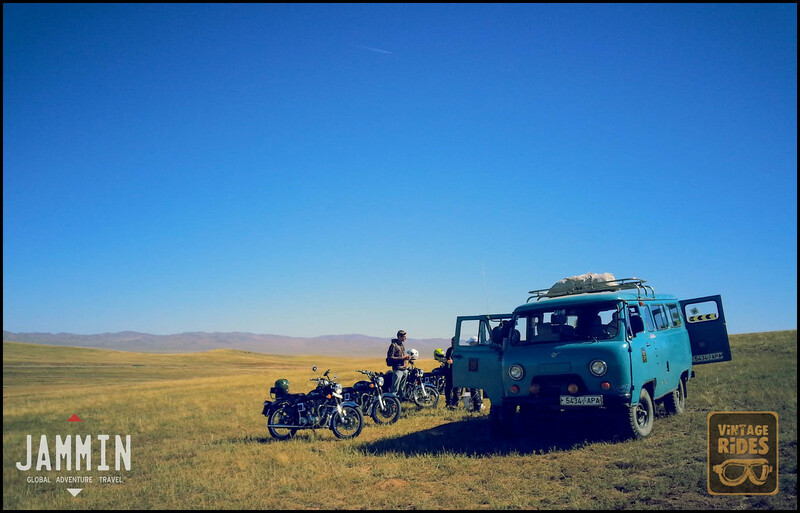 Here’s what it’s been like on Jammin thru Mongolia 2014. 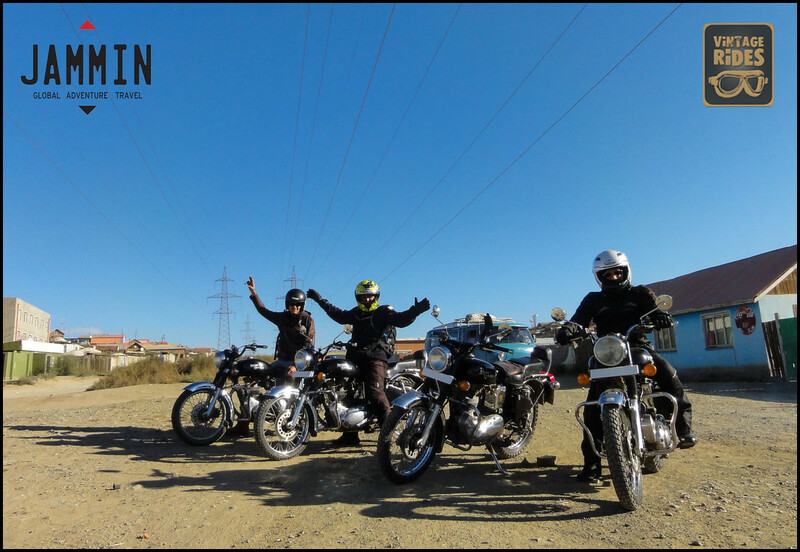 A fun little video shot in the Orkhon Valley riding Royal Enfield Bullets. And the ride is not over, yet! 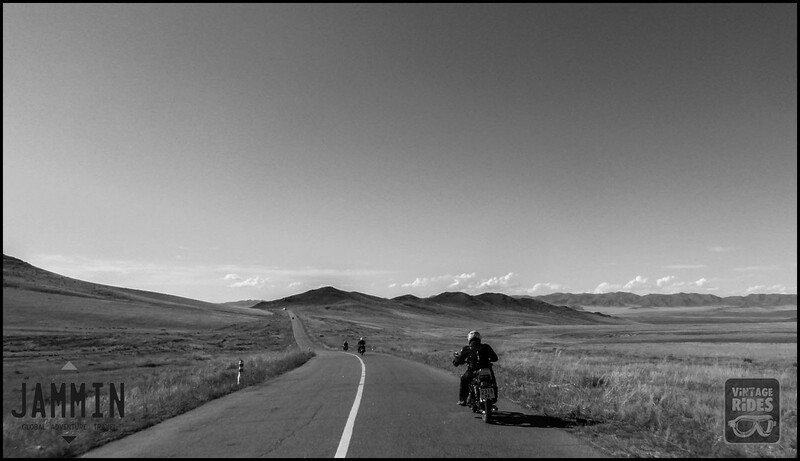 Jammin thru Mongolia begins and wow, just a few kilometers outside town and we’re in awe at the immensity of the landscape. Once the concrete gives way, the grassland takes over from horizon to horizon. It isn’t that flat as we rolled up and over hills that gave us views far across the land. 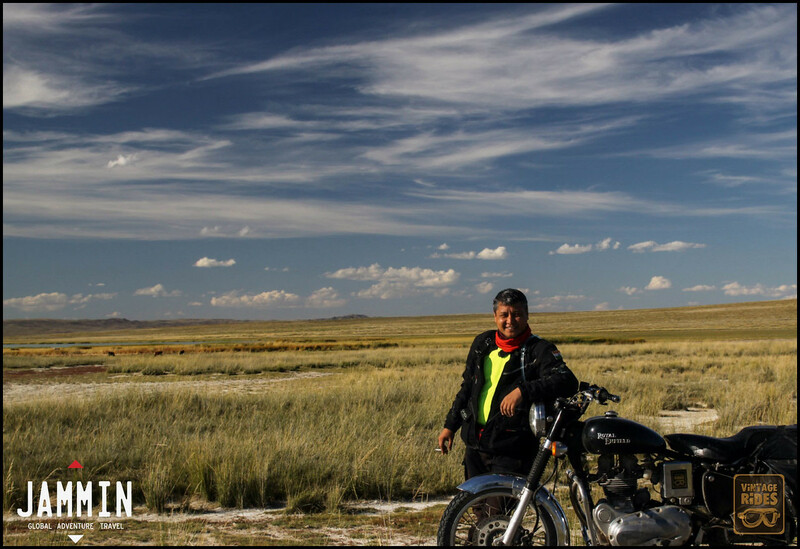 It looks sort of like Montana but of course, there’s Russia to the north and China to the south here 😉 We had a coffee break up on one hill and after lunch, the big sky, bactrian camels and wild horses kept us enthralled and affirmed that yes, we were riding in Mongolia! 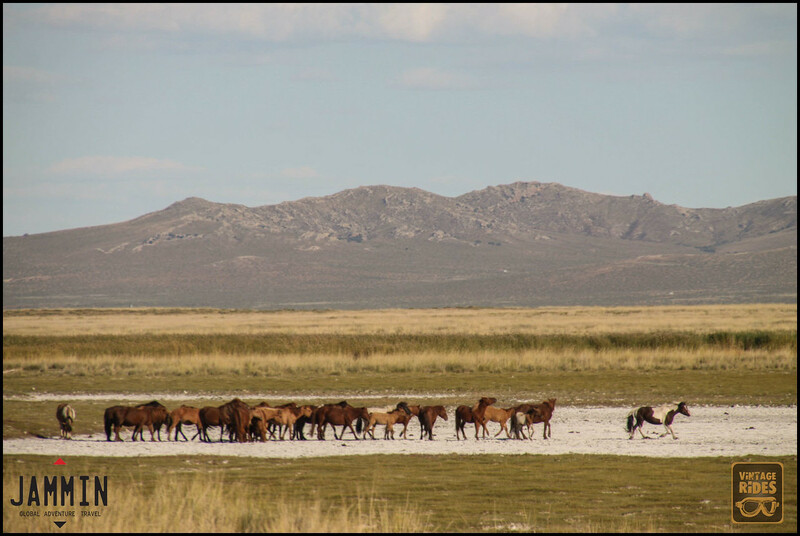 Wild horses of Mongolia moving around in herds.